On a crazy coding binging marathon or non-stop looting spree in Clash of Clans and just don’t have time to eat or prepare food? You don’t have to anymore, because Soylent is now shipping to Canada (it is our job to inform you of ‘big’ things now available in Canada). Soylent is a simple, nutritious, and affordable food that possesses all the essential ingredients a body needs to be healthy. David Jenkins, Canada Research Chair in the department of medicine and nutritional sciences at the University of Toronto and St. Michael’s Hospital, told The Star Soylent “may not be the worst thing on earth for you,” noting the reasonable balance of macronutrients but low fibre content. The powdered drink earlier this year raised $20 million in VC funding from Andreessen Horowitz, making its possible valuation in the range of $100-150 million. People really like this stuff. 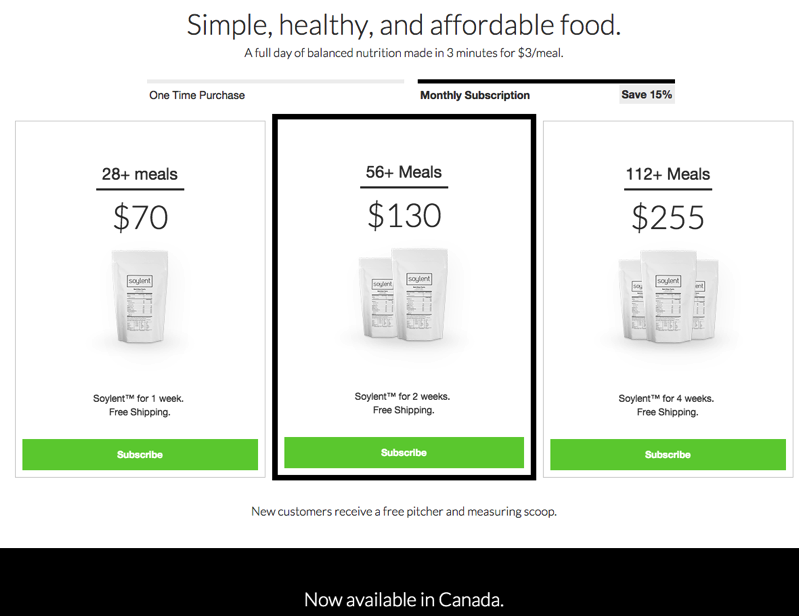 The meal replacement now includes free shipping to anywhere in Canada, including the Arctic via Canada Post. Every updated and improved version of Soylent comes with release notes, such as version 1.5 which says there is “improved texture,” plus “changes in carbohydrates,” along with “changes in powdered oils,” and a “slight decrease in sodium chloride.” Sounds yummy. Now, excuse me while I go eat a steak and lobster instead.